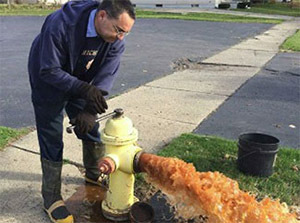 Before launching onto this month’s blog, has anyone else been angered by the expropriation of the title “emergency manager” by the state of Michigan, to describe state-appointed fiscal overseers of local government in the city of Flint making decisions that resulted in the poisoning of that city’s drinking water? In the old futuristic movie “Fahrenheit 451” firefighters actually set fires (turning that profession’s mission upside down), burning books that might galvanize an oppressed population to think for themselves. Likewise In the state of Michigan the title “emergency manager” is accorded to those fiscal overseers assigned by the governor to overrule local elected officials in several cities, most notably in Flint, because of a belief that local elected officials could not make responsible financial decisions. And so “emergency managers” in the context of Flint and other cities in Michigan have become the originators of a citywide crisis with national implications. The entire population, around 100,000 in number, has been drinking contaminated water for almost two years. Flint already had problems; but this disaster may linger for years to come. Everywhere else, emergency managers are defined as people that manage emergencies, not create them. Everywhere else, emergency managers deal with the consequences of a disaster, and do not cause them. Actual emergency managers in Flint and in that state and the federal government are now grappling as competent professionals with the consequences of this horrible crisis. But, please, why did our noble, largely altruistic profession have to be linked by name with what has turned out to be a severe and tragic outcome? And thus to my point below about the need for an inclusive educational approach for emergency management professionals, current and future, and those in other disciplines, elected officials and the general public. Our critical mission will continue to be a mystery, and subject to misinterpretation until we articulate what it is, and is not, in all of its complexities. those who feel that it is essential that the next generation of emergency managers of necessity will have to be better educated and trained than those of us in the middle of or (ahem) the twilight of our careers – many of us fell into the roles we assumed as emergency managers by accident. Not only can we not be successful without this liaison commitment, we should never pretend that emergency managers can do it alone. In the debate that raged post -911 in national circles about whether emergency management was a profession or a discipline a collective awareness grew that we are a profession, a discipline, and also a “bridge” organization within a community, a region, a state or the nation that brings necessary elements together that otherwise might not act in unison. We do some things on our own; we cause other things to happen through collaboration and a lot of advance planning and network building. This expansive approach enriches and extends the capabilities that we possess. 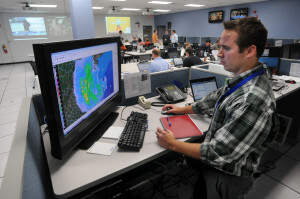 What emergency management does better than anyone else is keep up a sustained concentration on the next problem, the current gaps, and provide the connectivity to the resources that meet pressing needs. If all that is true, and I believe it to be so, then how can we not pursue a sustained enrichment and enhancement of the skill sets of current emergency managers? How can we not, in surveying the aging group of emergency managers who have joined the profession in mid or latter parts of their careers, not make provision to recruit the successors and make sure their knowledge base begins where ours ends? We need to sustain and convey our knowledge to the new folks as if it were a supply chain of experience, commitment, and professionalism. And we need to think broadly about what constitutes an emergency manager. It’s not just a role within government, or within emergency management offices. In retail, manufacturing, medicine and other professional roles it is difficult to argue that any of these are better off without an emergency management perspective supporting their operations. IF we in government are the only ones concerned with and preparing for disasters, we make a major mistake. Yet, I am pretty certain that emergency management leaders are often so busy, so engaged in intense internal and external issues, that they have little time to reflect on where we are headed. So, it falls to the institutions like the Homeland Security and Emergency Management Center of Excellence to provide both the ongoing and the introductory levels of our profession with specific as well as general acquaintance with the history, protocols, procedures, challenges and possibilities in the future. And no one should downgrade the importance of general education for “normal” citizens, or others who may enter other professions. Citizens outside of professional groups also have a responsibility within our society. Disasters lie ahead of us. We know what some will be; we can’t know (lavish earthquake prediction grants notwithstanding) how or when for certain those events will smack us in the face. Knowing that suggests that the development of effective, informative and platitude-free educational opportunities for practitioners, future practitioners, the general public and the private industry is essential. We in emergency management have no business operating a closed shop: come to think of it, who would not profit from a better understanding of the emergency management role in our society?